We’re so excited about our Timber Creek Pizza Fundraiser to support our growing needs and our upcoming Music Lives Show Choir Competition! 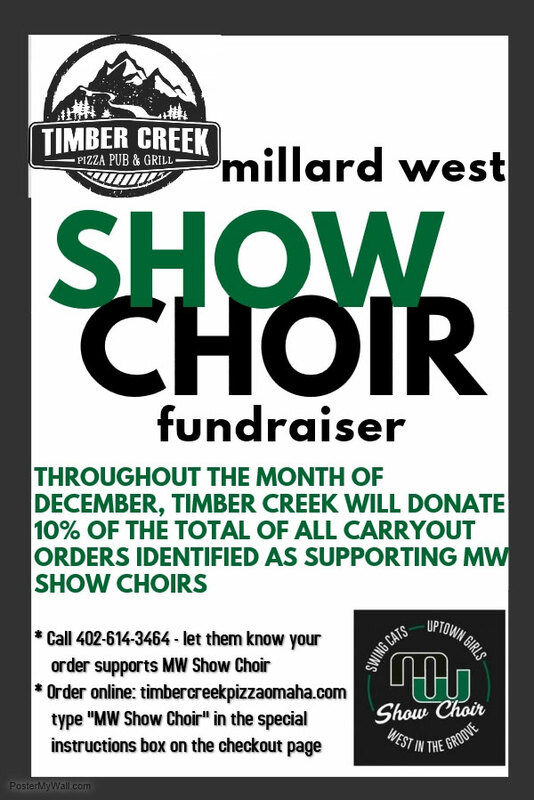 Timber Creek Pizza, located at 6718 178th St. (in the new addition by Wheeler Elementary School), is donating 10% of all carryout sales when identified as supporting Millard West Show Choirs. Call them at (402) 614-3464 or go online to place your order. Make sure to let them know you are supporting Millard West Show Choirs with your order!